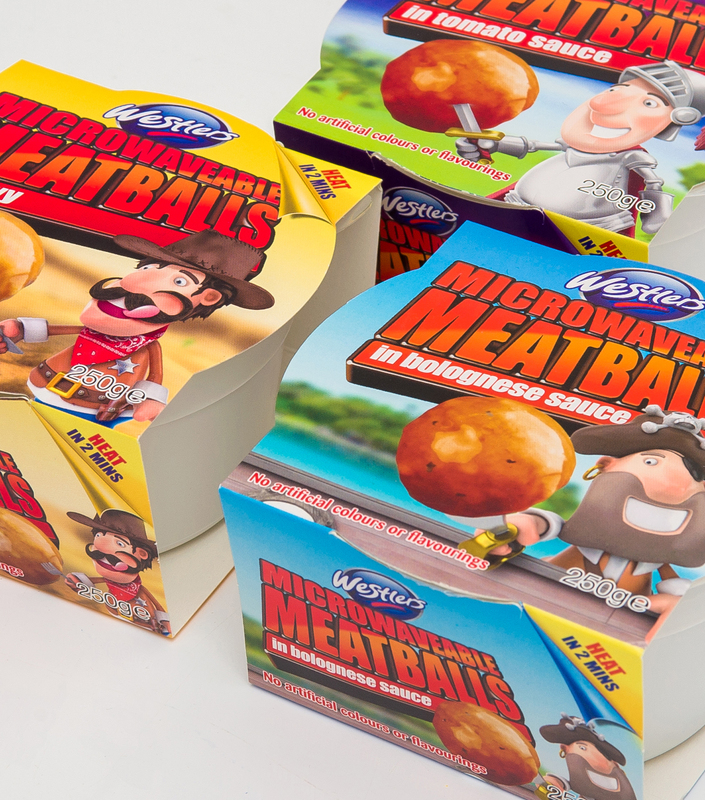 Hive created eye catching food packaging designs for a new range of 3 flavours of Westlers microwavable meatballs. The product was launched by Malton Foods into ASDA. The design featured 3 illustrated characters which would appeal to children as the product contained no artificial colours or preservatives. Westlers are a food manufacturer based in Yorkshire. Hive have worked with Westlers for a number of years, creating packaging for a range of products. Ranges include the Chesswood and Wayfayrer brands. We have worked with a range of formats from tin labels, pouches, microwave meals and cartons for Westlers. If you would like to find out more about our packaging design please contact us.